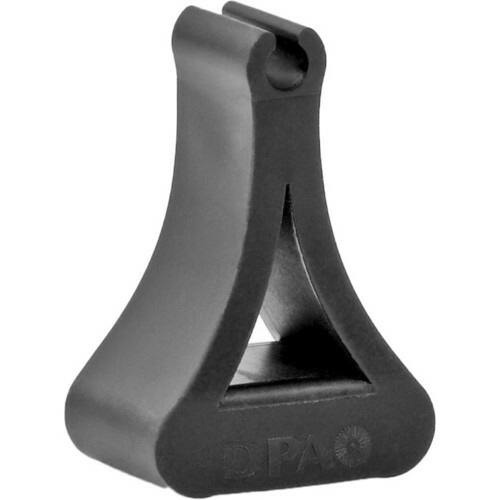 The PC4099 Magnet Mount from DPA Microphones is a spare or replacement magnetic mount for DPA 4099P stereo microphone system. It is identical to the magnetic mounts that come with the original package, and can be used with various instruments with magnetic surfaces. The mount provides a secure placement on a piano sound board. Box Dimensions (LxWxH) 1.6 x 1.0 x 1.0"
PC4099 Magnet Mount is rated 5.0 out of 5 by 2. Rated 5 out of 5 by Theatre guy from Great mounting option These magnets add a wonderful flexibility to an already great microphone system. They allow you to place the mic in some unusual places to get the position you need. And no worries about marring that expensive piano, with the rubberized finish. They are so unobtrusive it appears as if there were no mics at all. Rated 5 out of 5 by Palmer from A great mounting solution These are excellent for mounting your d:vote (4099) mics to the metal frame of a piano. A simple yet elegant solution, whether the lid is open or closed. Is this product a pair of mounts for stereo use, or just a single mount? The PC4099 comes as a single piece. Not a pair. Hope this helps.